Any athlete who’s ever been put out of a game through injury knows better than most of us how debilitating injuries can be. Getting back to doing what we love, be it professional athlete or family coach, in the fastest and healthiest way possible is paramount to all of us. Chiropractors often get god-like praise for their amazing healing and pain relief abilities. Yet, if you run a practice and offer such services, you may feel it’s time to offer clients something new. Something with super-cool healing abilities. Cryotherapy recovery sessions. Cryotherapy might sound futuristic, and in some ways it is, in the context of cryogenics, freezing people to conserve their healthy in-tact selves until a future date. But in other ways, it’s very old school. Think: bag of frozen peas. Cryotherapy falls somewhere in between. Cryotherapy treatments work by exposing either the entire body or targeting areas to extremely cold temperatures between -100 and -140 degrees Celsius, for between 2-5 minutes. This can be achieved by using a whole body cryotherapy chamber, or by using smaller pieces of equipment. Many athletes use the power of cryotherapy to enhance their performance. It improves circulation and helps deliver oxygen and nutrients to the right areas while strengthening muscles against future damage. 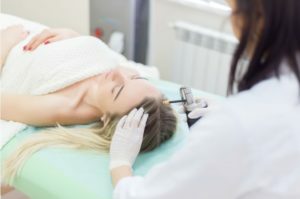 As with most treatments, whole body cryotherapy isn’t suitable for everyone and there are certain risks associated with being exposed to such cold temperatures. These can include skin burns or an allergic reaction to the cold, or those who suffer with high blood pressure could experience fluctuating blood pressure. Amongst at-risk groups include pregnant women, people suffering seizures, or those with Raynaud’s Syndrome. Offering your existing and potential new clients cryotherapy recovery sessions could be the perfect way to expand your business model, increase profits, and deliver a niche service. To be able to provide such a service alongside add-ons like massages or nutritional advice could be good business for everyone. You can hire a whole body cryotherapy chamber from CryoAction and be the coolest chiropractor in town.